A powerful bubble system that provides a massaging effect. 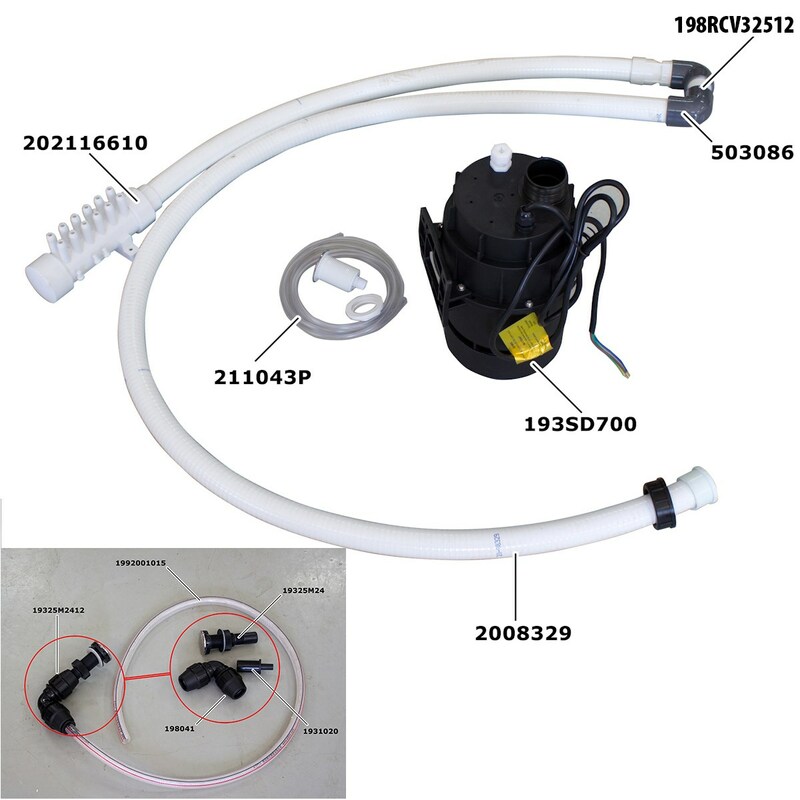 The system includes air pump, check valve, air distributor with 12 outlets and pressure switch for the air pump. The system can be connected up to 12 air jets via the diffuser using Ø 10x15 tubes (fastened with PVC glue). Length of the tubes depends on the barrel design. The tube is then connected to an elbow-connector which can be easily connected to the air valve and adapter. These parts (19325M2412), including the tube (1992001015) must be ordered separately. See picture with part numbers. Air valve for bubble system including crimp terminal, 2..